Getting there: a - low cost - flight to Dublin or Cork. 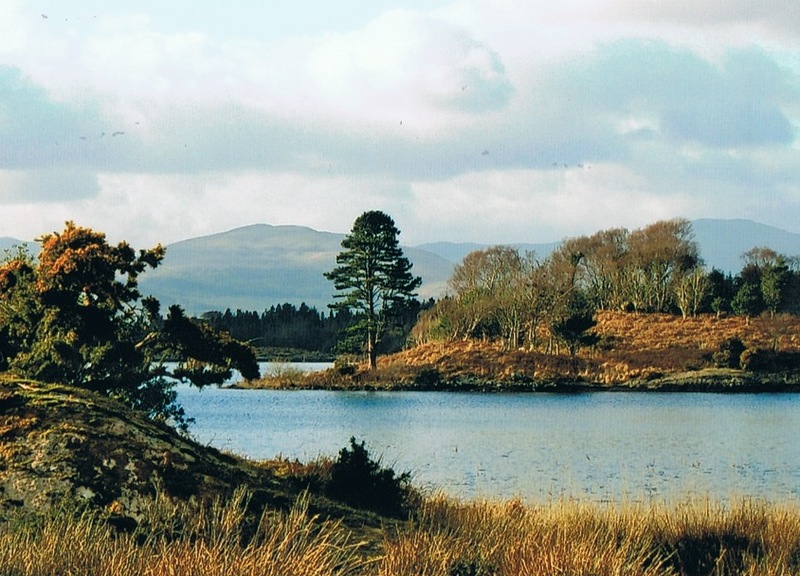 From Dublin is quite a time in the bus to - our destination for example - Kenmare (5 hours). From Cork airport to Kenmare it's 2,5 hours by bus. Highest point of the trail: 340 m. You can complete the trail in 8 days. The traill doesn't climb the tops but follows the flanks of the mountains. Maps: the Ordnance Survey of Ireland 84 en 85; you can buy the maps on trail. Accommodation: Sleeping and eating: a lot of B&B’s. Or the youth hostel. Or a holiday home! Whatever you want. 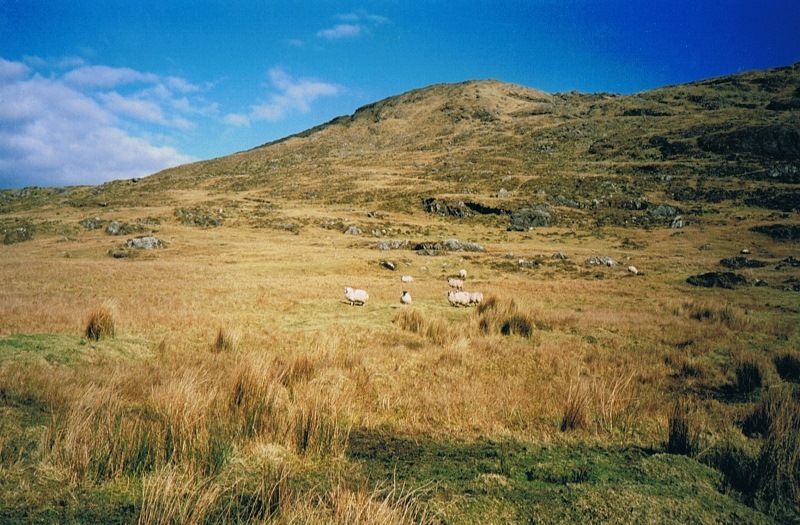 March 2005: 6 sections of the Beara-way. 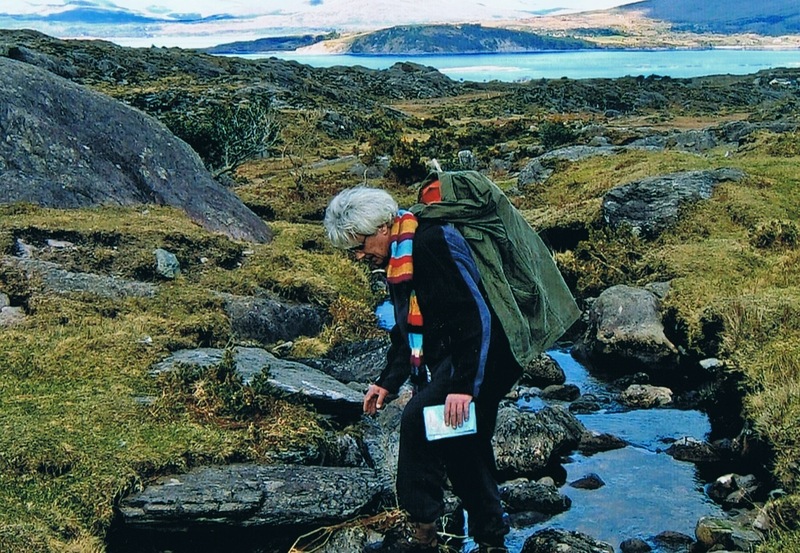 You can complete the route in 8 days , including a more or less round-walk at Bere Island. Distances between the stage cities: 20-23,5 km. 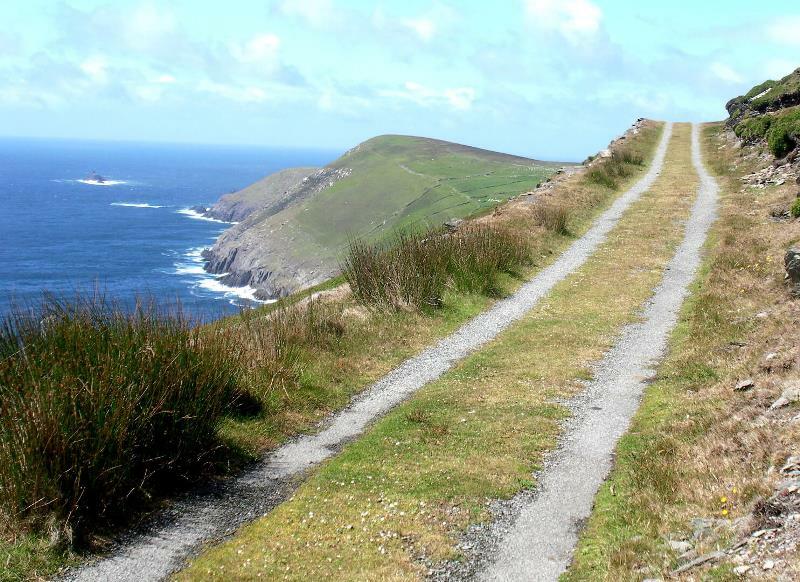 Height on trail: sea-level till 340 m.
and by 18.00 hrs bus to Cork airport..
On trail: We've walked the four Ways on the peninsulas. "You get attached to it", to put it in a clichéd way. 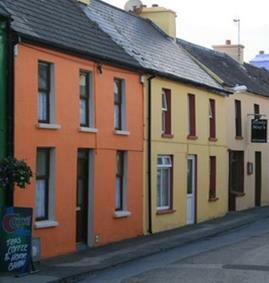 Beara has remained perhaps the most unspoilt part of the south west region. Like the other peninsulas it is a magical world of mountains and lakes surrounded by a picturesque seacoast. 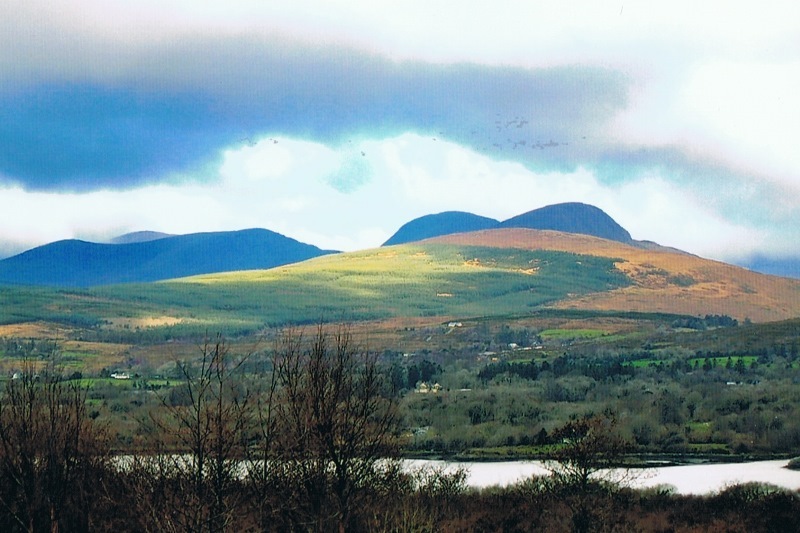 The never ending colors of the Irish west coast , the Caha and the Slieve Miskish mountains. 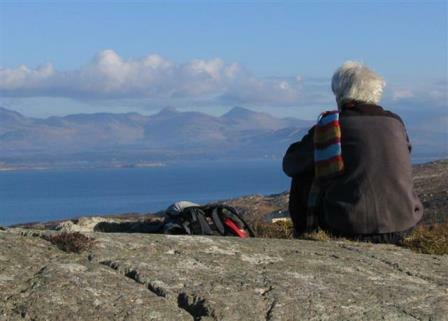 You can admire as well the views at Bantry-bay, Kenmare-river, as the Atlantic Ocean. ”The views can be breath-taking.”Or, as people say: “there is a view around every corner”. A magnificent combination of mountain and coastal scenery. 511 historical sites, some dating back to 2000 B.C. 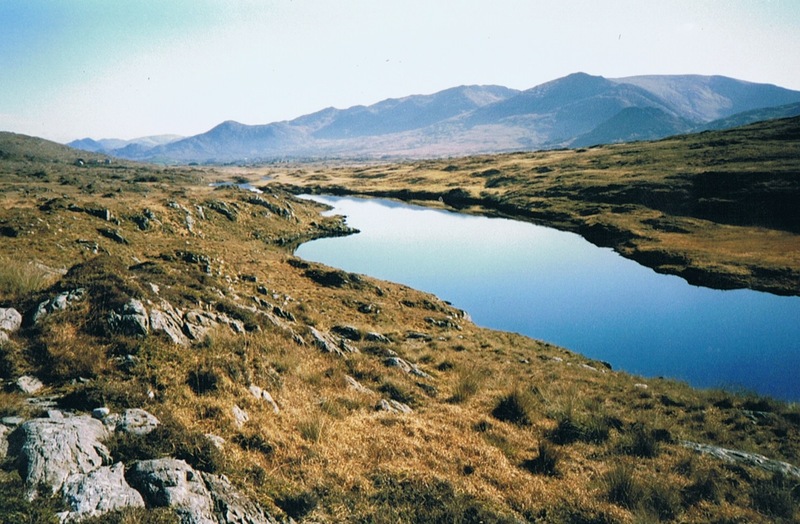 can be found on the Beara Peninsula, making it the location of one of the highest number of antiquities in one area in Ireland: the stone-circles, standing stones and the megalithic tombs. 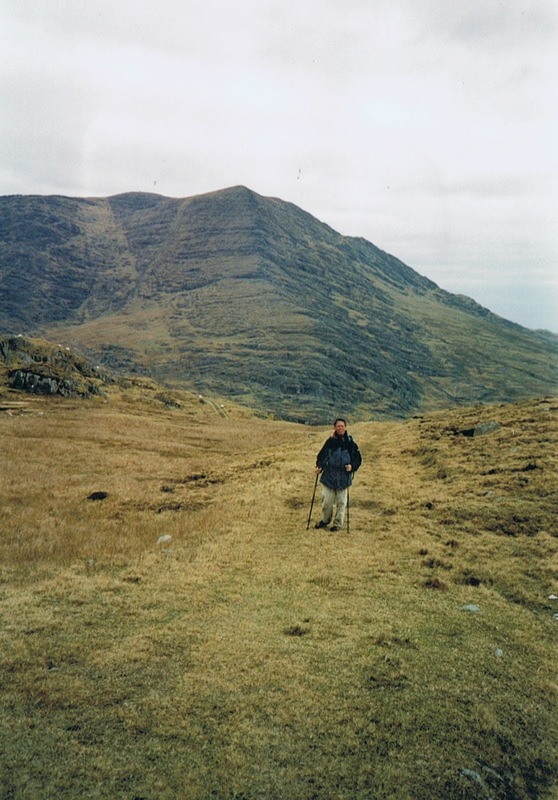 The loughs in the mountains, the colors of some villages (Eyeries), sheep, the gasp, the rugged coast in the far west, the pubs with, if you are lucky, a folk music band……...and all that in a week walking! Bere Island: watch out also for dolphins, puffins, kittiwakes, porpoises, seals and millions of birds. Below a video about the peninsula Beara. Enjoy!